One of the best things about Shanghai Express is that they’re open late night. They’re open every day starting at 3pm until 3am. 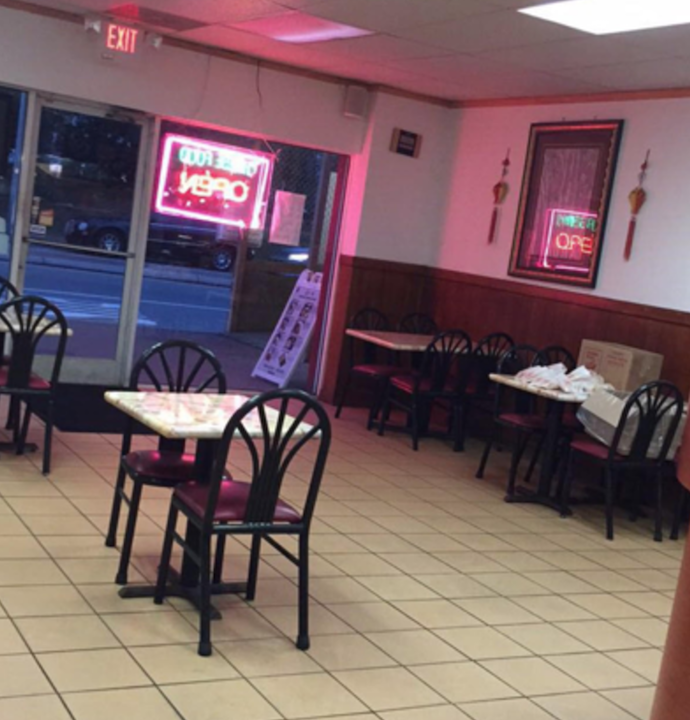 So when you’re looking for that late night brain food, consider giving Shanghai Express a call. Otherwise, stop by for dinner inside their super roomy restaurant. For this week’s Tasty Tuesday, I got to try out Shanghai Express for the first time ever! I have heard about this restaurant and how great their food is from so many people, so I was very excited to see what all the hype was about. Located at 2502 Hillsborough Street, this restaurant is positioned conveniently on the corner of Horne St. and Hillsborough Street, and is good for a quick and easy stop. 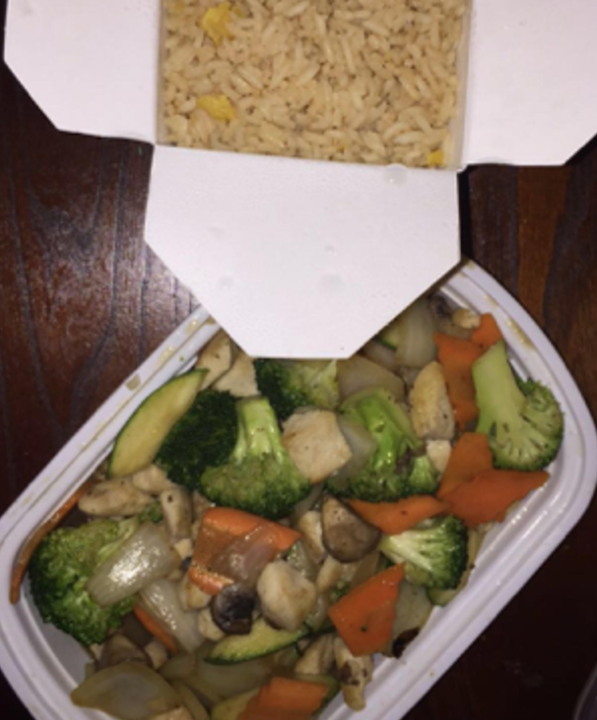 Having been to a few similar Chinese restaurants, I decided to keep my order fairly similar to what I usually go for: Hibachi Chicken. But let me tell you, this entree was unlike any others I have ever had. One thing I extremely enjoyed was the chicken being cut up into small bite size pieces. Another winning factor: the portion size! They gave me so much food which included; chicken, all the vegetables, and a pint size container of rice, all for a great cost. Also, their yumyum sauce was the best one I’ve ever had! One of the best things about Shanghai Express is that they’re open late night. They’re open every day starting at 3pm until 3am. 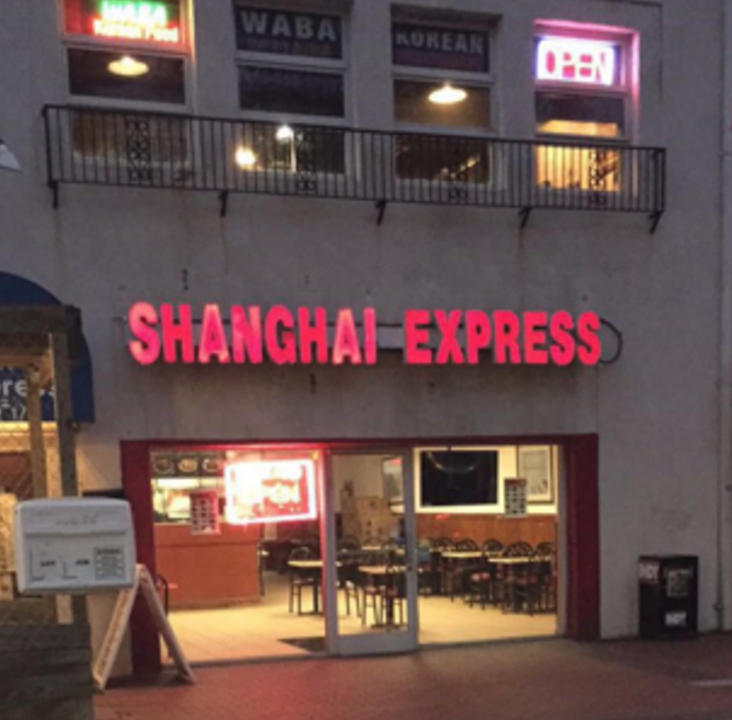 So when you’re looking for that late night brain food, consider giving Shanghai Express a call. Otherwise, stop by for dinner inside their super roomy restaurant. No matter what time of the day you decide to eat this delicious Chinese food, you’re sure to be satisfied and maybe even lucky enough to have some leftovers for later! Swing by and check out their huge menu and enjoy great customer service!